The history of Henriques & Henriques, founded by João Gonçalves Henriques goes back to 1850. After his death in 1912, a partnership was created between his sons, Francisco Eduardo and João Joaquim Henriques, hence Henriques & Henriques. From then on, Henriques & Henriques, played an important role in viticulture and wine making on the island and in 1913, the family interests were established as a firm. By 1925, the firm concentrated on shipping its own wines instead of supplying them to other shippers. With the death, in 1968, of the last of the Henriques, João Joaquim Henriques, known as “João de Belém,” (who had no heirs) the company was left to his three friends and partners: Alberto Nascimento Jardim, Peter Cossart (who made 53 vintages with the company) and Carlos Nunes Pereira. In June 1992, Henriques & Henriques, undertook an expansion with a value of more than €5,000,000 and invested in the construction of new premises in Câmara de Lobos and also on building a new vinification center at Quinta Grande. The new premises at Câmara de Lobos house the offices, laboratory, tasting room, cask stores (for ageing wines) and the basement below houses different sized stainless steel tanks for storage and blending. In 1995 the company decided to plant a new 10 hectare vineyard at Quinta Grande next to the vinification center. 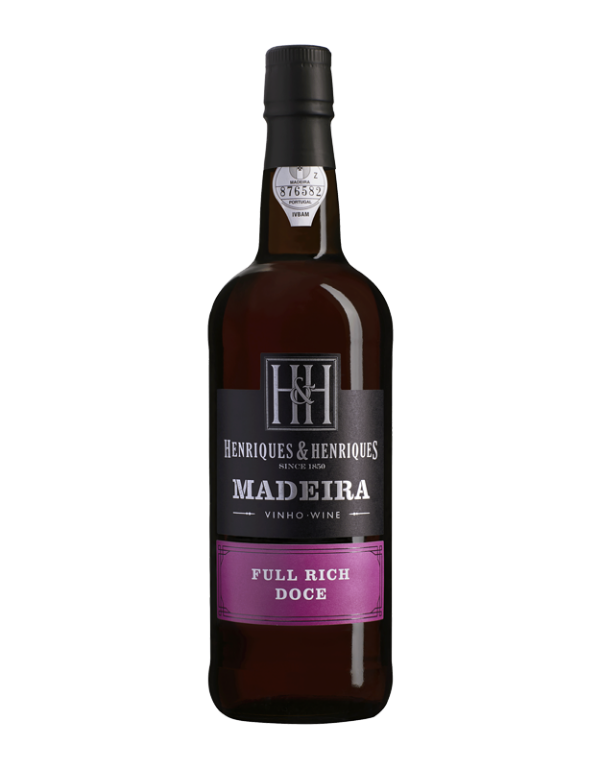 Henriques & Henriques, is the only madeira producer to own vineyards. The company uses the most recent technical innovations, but at the same time, maintains the family traditions of almost 200 years of producing fine madeira wines. The full control of every aspect of its production has enabled H&H to nurture and sell wines of exceptional quality. A dark brown color, with a caramel nose. Full bodied, very fruity, luscious, fragrant and a very rich sipping wine. It is to be savored as a dessert wine, with rich foods.